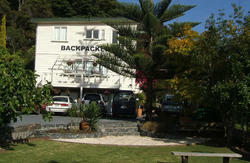 Welcome to Base Bay of Islands backpacker hostel, located in the stunning Bay of Islands just 50 metres from the beach. Splash in the pool or spa/hot tub, relax on the sun deck or choose from one of the many adrenalin pumping activities this island has to offer. Our friendly staff will give you all the inside local tips on how to experience the best of the Northland's amazing scenery, culture and history. Join in on our evening Kiwi BBQ and a complimentary drink in the Pipi Patch Bar where you can meet travelers and locals at the friendliest bar in the bay. 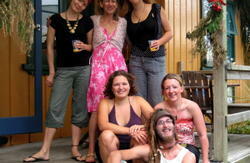 Pipi Patch Bar: party with travelers and meet the locals! We are located 50m from the beach at 18 Kings Road and marked with a red X at the gate. Just 5 minutes walk from the bus terminal, and some bus companies will drop you off outside our gate on request. 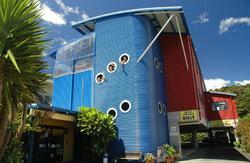 The Kerikeri airport is a 25 minute drive from Paihia, and airport shuttles are available.